I have a tutorial over on the Ribbon Carousel Blog today doing ruffled ribbons, I'd love you to pop over there and watch the tutorial. cute ribbon treatment. i wish i could space mine better. any hints for that? 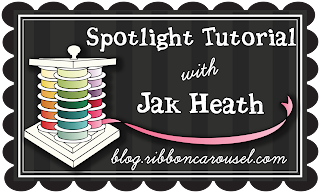 Gorgeous card Jak and the tutorial was really great too and very very easy to follow. Thanks so much for all your great inspiration always. How´s your back now after some rough days with demo and stuff? Hope it´s still going fine. Beautiful card and love the tutorial, the ruffled ribbon looks so pretty. I wish I could keep my nails looking as beautiful as you do, crafting and my nails just never seem to mix well lol. That's so much more interesting than just laying it flat! Thanks for the great tutorial, I shall certainly try it myself. BTW, I have 3 of those ATG's - one regular adhesive, one acid-free and one re-positionable - love them! Great tutorial thanks, will give that a go. 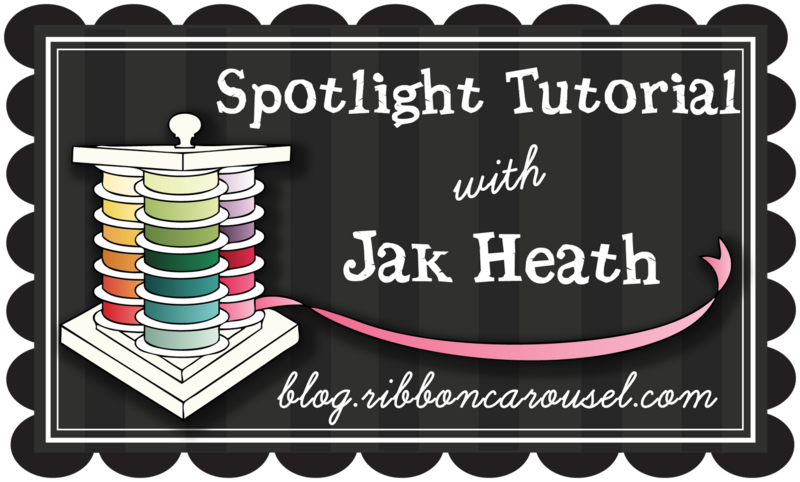 Thanks for the tutorial Jak, i love how this looks and what lovely ribbon you used. thanks Jak for the tutorial. I always struggle to be creative with the ribbon and usually make a mess. This was very helpful. Great card. This is so cute and I love that ribbon effect.